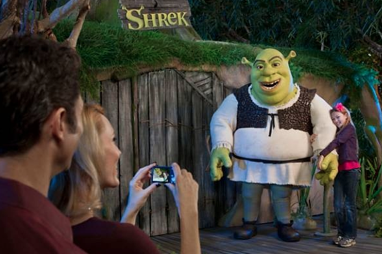 Families looking for a memorable weekend away can now bring their vacation to life with Gaylord Palms’ newest DreamWorks Experience package, Family Fun Night With Shrek & Friends, on Saturday, February 18, 2012. Guests are encouraged to make it a two- or three-night stay* to take advantage of all the entertainment and extraordinary experiences available. Gaylord Palms Resort features signature, glass-covered atriums that offer acres of sculpted indoor gardens, walkways, and streams that feel like the outdoors but are kept at a pleasant, 72 degrees year round. Visitors can also indulge in rejuvenating treatments at Relâche Spa & Salon, voted a 4-Star Spa by Forbes Travel Guide; enjoy world-class cuisine at a multitude of award-winning restaurants, including the new Wreckers Sports Bar; and enjoy excellent shopping and nightlife options. 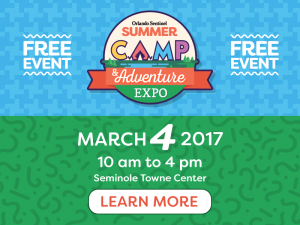 Gaylord Palms Resort, located in the heart of Central Florida, is the perfect “home base” for day trips to some of the nation’s most thrilling and exciting attractions and theme parks! The 1406-room Gaylord Palms Resort & Convention Center affords endless opportunities for leisure travelers and conventioneers. The resort’s hallmark – “everything in one place” – provides vacationers with diverse dining options, quality spa and fitness center services, top-notch entertainment, on-site shopping and endless activities. The award-winning resort is a Gaylord Hotels-branded property owned by Gaylord Entertainment (NYSE: GET), a leading hospitality and entertainment company based in Nashville, Tenn. For reservations and information, visit www.gaylordpalms.com or www.gaylordentertainment.com.